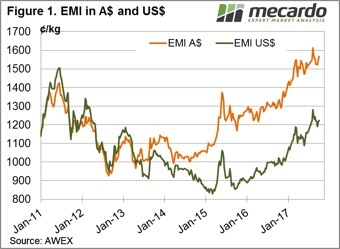 The continued good news regarding the wool market is providing a positive setting for wool producers; with some now locking in prices for future clips and making decisions to expand production. A quick look at relative prices shows the EMI is 248 cents higher year-on-year, while in US$ terms it is up 231 cents. The Eastern Market Indicator for the week lifted another 16 cents to close at 1,566 cents in A$ terms, while in US$ terms it rose 11 cents to 1,224. The market in the west also improved, gaining 13 cents to close at 1621 cents. 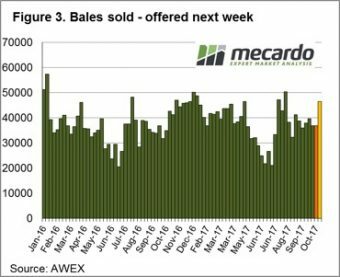 This week the market opened strongly on Wednesday then settled into a “firm” trend resulting in a good result for sellers; and they responded by only Passing-in 3.3% of the 38,103 bales offered- well below the season average of 7.3%. 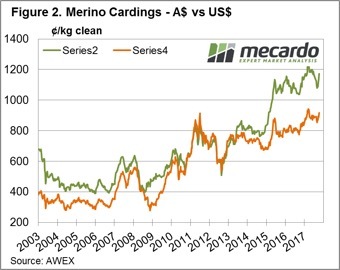 Crossbred wool again was unable to follow the lead of the Merino section, losing ground across the board, with the only exception being the limited 32 MPG offering which held steady. A note from AWEX this week points out that the poorly prepared X Bred clips were the most affected and struggled to attract competition. This is a salient reminder, when demand weakens the focus of buyers shifts to the better lots; in a strong market, the case is often that poorer lots are well supported as buyer’s scramble for supply. It was also observed that the Skirtings market is feeling the effects of a strong Merino fleece wool market with most types improving 20 to 40 cents for the week. The scramble for “low mid break” lots resulted in these types at times posting extreme prices. 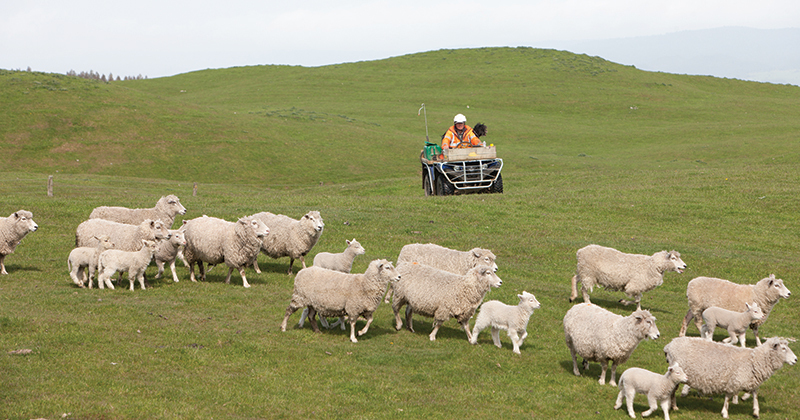 AWEX report that up to 70 cent premiums are evident for wool with the “right” specifications. This is a response to the normal seasonal increase in high Mid Break lots coming forward, as reported by Mecardo this week. Cardings are also tracking along nicely, and while yet to reach the 1200 cent peak of May, they are well entrenched above 1,100 cents, mainly due to the limited supply. A total of 46,512 bales are listed for sale next week across the three selling centres over 2 days. This is consistent for the next three weeks roster with around 40,000 predicted each week to be offered. As stated last week, “the surge in the market is enticing, and again shows the resilience of the wool market now”. Despite an increasing offering that is normal as Spring shearing clips arrive, it is difficult to see anything but positive times (at least in the short term) for wool.